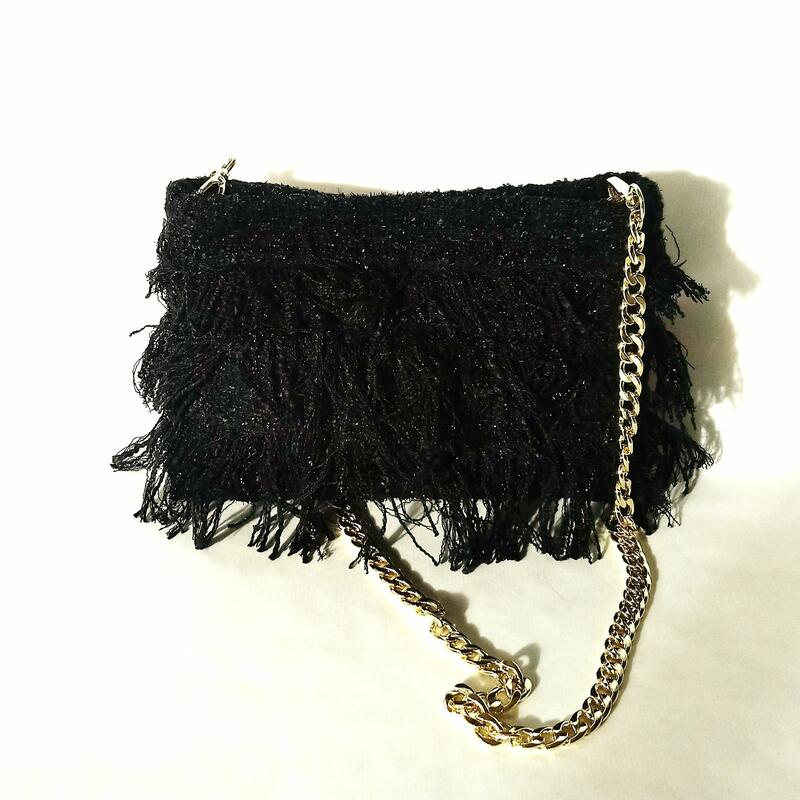 Black evening bag with fringe. up dressed event clutch bag. black tweed couture with glossy threads purse. Package shipping 48h. 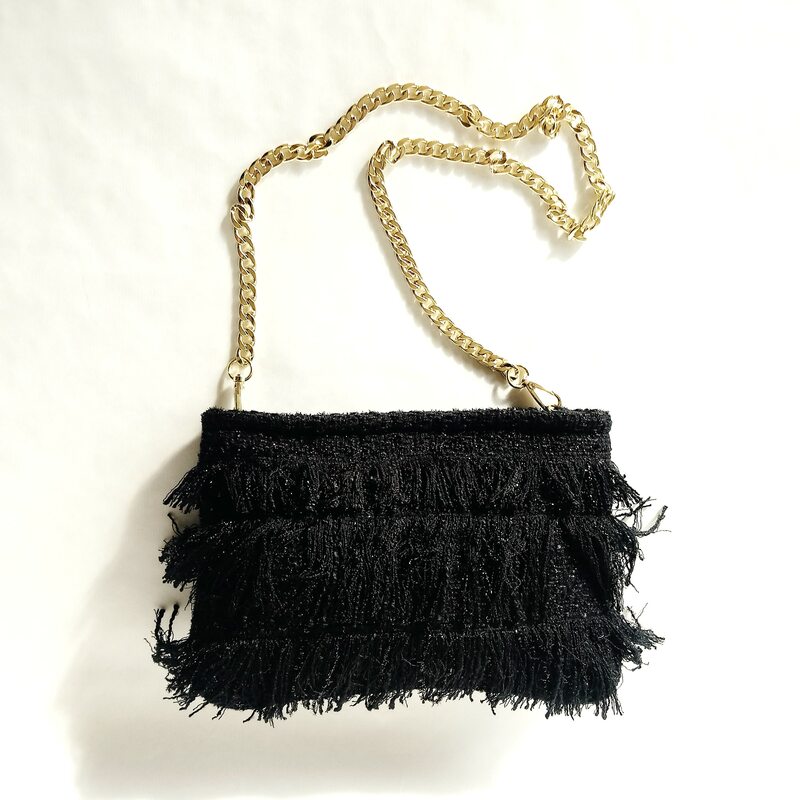 Black evening bag with fringe. up dressed event clutch bag. black tweed couture with glossy threads purse. 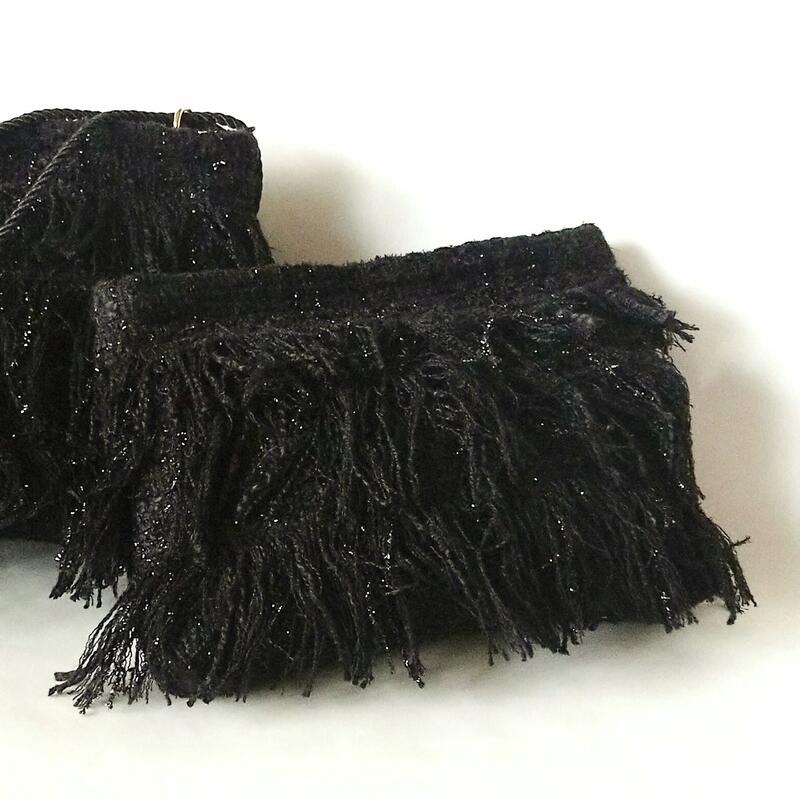 Black clutch bag with fringes made of designer tweed.. Some glossy threads in the weaving for a modern and really chic effect. Upper, in a fold there are a zipper to close and two little rings. 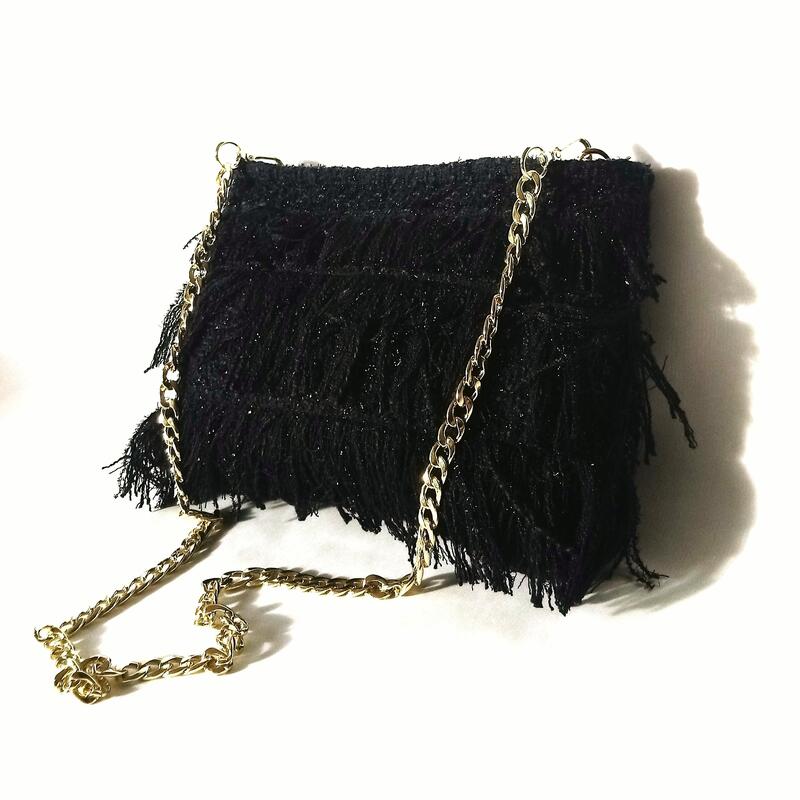 If you slip a black cord or fix a little chain, this clutch become a hand bag. This clutch bag is perfect for select events, ceremonies... perfect to dress up any outfit! Great for Christmas, New Year’s or any special event! Bag sold with a little golden chain ended with hooks. The bag is perfectly washable! Hand wash in cold to a little bit warm water.